Motion Math makes visual and interactive games to help students better understand the key foundations of elementary math. 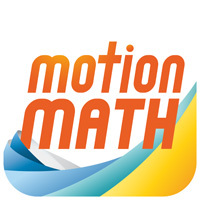 We have a Motion Math subscription for school and home use, and invite you to take advantage of this opportunity. You can play the games on the web at play.motionmathgames.com or on an iPad with the Motion Math app. Then use our home access code to sign in: xxxxx. If you need any help, please email support@motionmathgames.com. What is the student progress dashboard?